The air is thick with salt, huge coniferous trees tower above, and coastal canyons wind their way down to the sea where thunderous waves crash on shore. This is Juan de Fuca Provincial Park, an extraordinary coastal experience. Every time I’ve been to this park I’ve discovered something new. During my last visit to Juan de Fuca, I marveled at some of the largest waves I had ever seen at Sombrio Beach. Sombrio is a surfer’s paradise, a place off the beaten path containing beautiful stretches of gravel and sand. 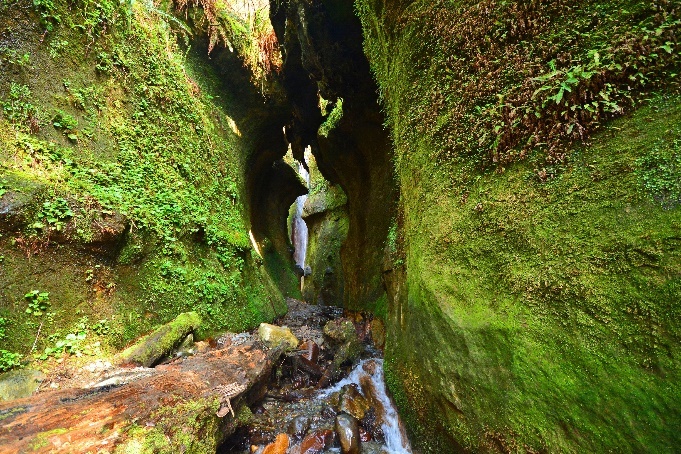 Also at Sombrio, is an exceptionally beautiful canyon and waterfall at the southeast end of the beach. This canyon is carpeted with mosses and ferns and the waterfall is a great place for a cold shower after a long day of hiking. I have done the entire Juan de Fuca trail twice now as well as multiple day hikes on different sections of the trail. One of my favourite spots along the trail is Payzant Creek. Set among huge western hemlock and western red cedar trees, is a beautiful cascading creek and canyon. 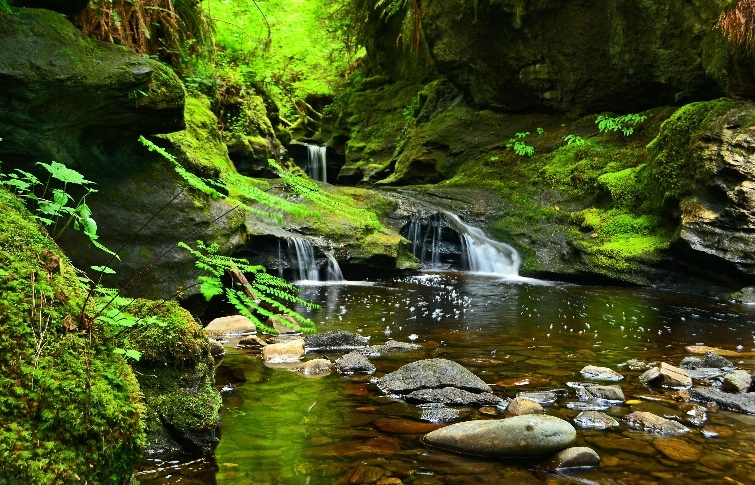 This creek is a great spot for photography and for cooling off. There are many opportunities along the trail for hiking along the shore such as sections at Chin Beach and Sombrio Beach. 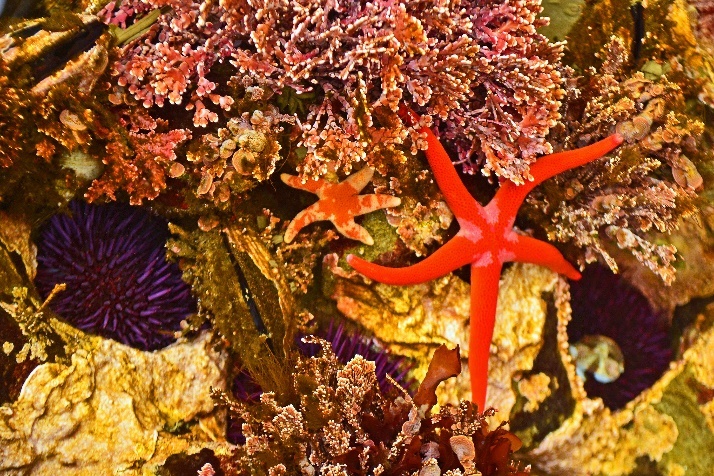 At low tide, one can find an array of marine life in tidal pools. 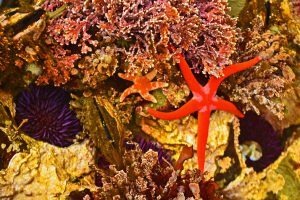 Blood stars, purple sea urchins, giant green anemones, and gooseneck barnacles are a few of the creatures that may be found in these sensitive pools. 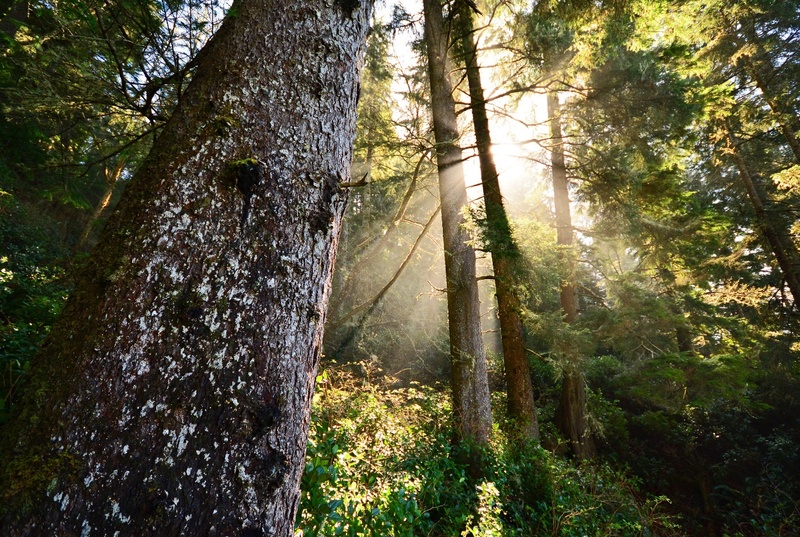 The Juan de Fuca trail has numerous coastal vistas adding to its appeal. At Loss Creek, a suspension bridge provides a thrilling experience by crossing over a deep canyon near where the creek enters the ocean. At Sombrio Point is an awesome view up the coastline. 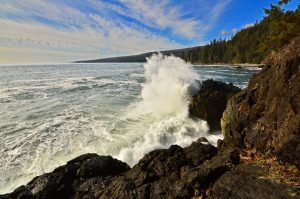 This might be the best spot along the trail for wave watching and indulging in the power of the Pacific Ocean as it reaches Vancouver Island. All of the wonders of Juan de Fuca can be experienced at the more accessible locations of China Beach and Botanical Beach. These two areas, at opposite ends of the park, are among the nicest beaches on southern Vancouver Island and are just short walks to access. 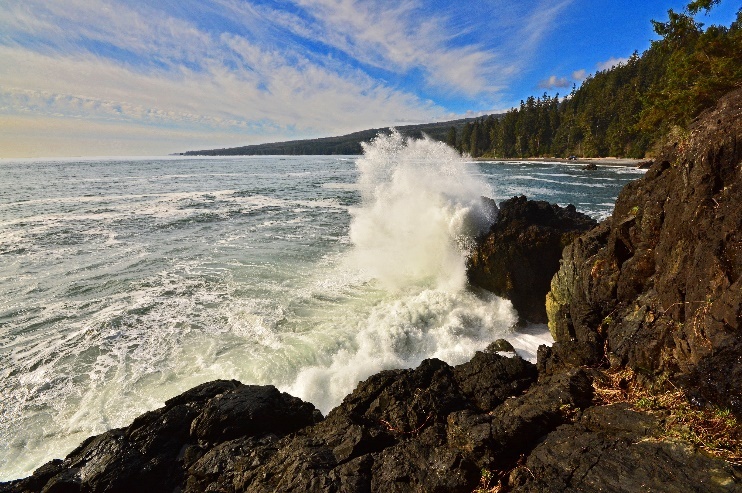 Juan de Fuca Provincial Park is a coastal paradise and is full of rugged beauty. This park is worth spending a while in as there is something new to be discovered with each and every visit! Blog post submitted by Iain Robert Reid. All opinions are his own. If you have a story or tips for exploring BC Parks, we would love to read it. Please click here to share your story.